agendaNi summarises the personalities and priorities of the new EU leadership. Seen as the ultimate insider, the Commission President entered politics straight after studying law. 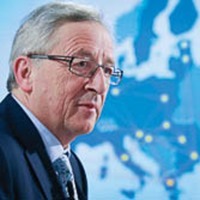 Juncker became Luxembourg’s Prime Minister in 1993 and the President of the Eurogroup in 2005. His popularity, though, was damaged in 2013 by revelations of illegal phone-tapping by the country’s intelligence service. Juncker’s party lost the resulting general election but he was then selected as the European People’s Party’s preferred nominee for the Commission presidency. The appointment was opposed by David Cameron and Hungarian Prime Minister Viktor Orbán. Juncker has five priorities: a digital single market; a single energy market; a balanced free trade agreement with the USA; a stronger euro zone; and a “fair deal” to keep the UK in the EU. On the last point, he accepts that Britain will never join the euro zone and will also respect its opt-outs. In his negotiations with Cameron, Juncker’s red lines are the integrity of the single market, the free movement of people, goods, services and capital, and the ability of the euro zone to pursue greater integration. He has not commented on Northern Ireland – at least in recent times – but the final deal could have a major impact on the province due to the land border with the euro zone. Luxembourg has a disproportionate influence in Europe. Juncker is the third Commission President to come from the country. Its population (540,000) is one-tenth of Scotland’s but both countries have six MEPs. Luxembourg’s GDP per capita ($111,000) is among the highest in the world and maintained by a strong financial services sector. 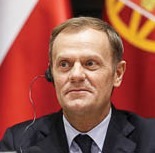 As President of the European Council, Donald Tusk will act as the spokesman for the governments of member states when they reach consensus positions. He will also set the agenda for the regular meetings of heads of state and heads of government in Brussels which determine the EU’s strategic direction. The detailed policy agenda is handled by the separate Council of the European Union, whose presidency is rotated between the member states. Prime Minister of Poland since 2007, Tusk leads the centre-right Civic Platform party. This is part of the European People’s Party and he is therefore closer to Jean-Claude Juncker and Angela Merkel than David Cameron. Tusk is an economic liberal and a ‘hawk’ in Europe’s relationship with Russia. Polish economic links with the UK through migration mean that he has a strong interest in preventing a British withdrawal from the EU. Schulz was the Party of European Socialists’ candidate for Commission President and paid a brief visit to Belfast during the European Parliament election campaign. 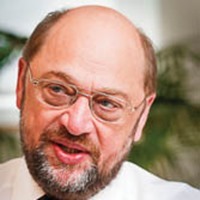 Schulz, who is viewed as combative and ambitious, conceded to Juncker but retains the presidency of the Parliament – a position he has held since 2012. He has been a German MEP since 1994. Schulz wants the Parliament to have a larger role in EU policy-making and is constantly keen to raise his profile. His policy priorities include social justice, jobs and growth, stricter financial regulation, and climate change. Out of all the presidents of the main EU institutions, Schulz appears to have the strongest interest in Northern Ireland. He met Peter Robinson and Martin McGuinness in Brussels last year and campaigned with the SDLP in Belfast during the European Parliament campaign. 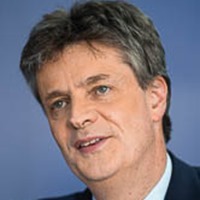 A former special advisor to John Major, Jonathan Hill has mainly worked for the Conservative Party since university interspersed by consultancy roles in the PR and lobbying sectors. Hill entered the House of Lords in 2010 as Parliamentary Under-Secretary of State for Schools and has been Leader of the Lords since 2013. His remit will cover financial stability, financial services and capital markets – strategically important for the City of London. He is tasked with getting European banks to increase their lending. Capital markets will also be expected to provide more a steady supply of credit for long-term infrastructure projects. Other responsibilities will include the Commission’s relations with the European regulators for banking, insurance, pensions and financial markets, which have a particularly strong influence on euro zone countries. 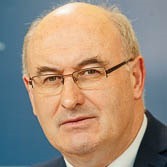 An auctioneer by background, Phil Hogan has represented Carlow-Kilkenny in Dáil Éireann since 1989. 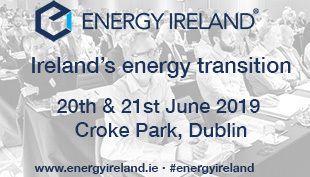 He is a close political ally of Enda Kenny and directed Fine Gael’s 2011 general election campaign. Environment Minister until July 2014, Hogan has overseen the streamlining of local government but has been highly criticised for introducing the property tax and water charges. Hogan has been tasked with implementing CAP reform, ensuring that rural development spending delivers jobs and economic growth, considering how to simplify direct payments and identifying other ways in which CAP can contribute to the economy. Agriculture is a highly important portfolio for Ireland and the post was previously held by Fianna Fáil’s Ray MacSharry (1989-1992). The Juncker Commission includes one nominee from each of the 28 member states. This includes seven returning commissioners. The gender balance is 19 men and nine women. Diane Dodds is pleased that Hill can ensure greater control over financial services policy and wants Hogan to help farmers affected by the Russian import ban. Jim Nicholson is impressed by Hill’s knowledge of Northern Ireland and thinks that Hogan can bring fresh thinking to his role. Sinn Féin MEPs claim that Hogan has no understanding of small farmers’ needs although Michelle O’Neill has written to congratulate him on his appointment. The Commission will be formally appointed on 1 November and will serve until 2019. A member state is free to change its Commissioner at any time.